Avantgarde is an industry leader in the field of Closed-Circuit Television (CCTV). We provide solutions for businesses across all industries, from small commercial projects, government and large scale enterprise solutions, and always source quality vendors and products for our high end solutions. Our team is highly skilled in current industry standards and dedicated to providing you a security solution which meets your objectives in a safe and timely manner. Due to the nature of CCTV projects, the safety and wellbeing of our employees is of utmost importance. To provide all employees with a safe and risk free work environment, our in-house health and safety regime is adhered to on all projects. Avantgarde Technologies is registered with WA Police and holds a valid Security Agent’s License (SA51629) under the Security and Related Activities (CONTROL) Act of 1996. Avantgarde Technologies provides large commercial grade enterprise CCTV systems scaling from 1 to 10,000 high definition cameras. Our experience ranges from Mining/Oil and Gas, Government and Commercial grade systems. These systems run on complex network infrastructure designed, implemented and supported by Avantgarde and often consist of point to multi-point wireless, fiber optic and copper connection mediums, providing the customer with a turnkey solution. All enterprise systems are designed to provide businesses with a minimum of 31 days which is aligned with the Western Australia State Recommendations for CCTV Systems. 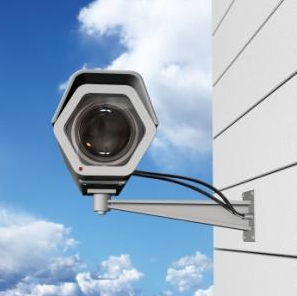 We design and implement enterprise storage solutions for CCTV footage based on customer requirements utilising numerous technologies including iSCSI and Fibre Channel storage fabrics. Our security specialists are certified in the Genetec Video Management Suite. Genetec is a world leader in enterprise CCTV and can provide full security solutions from integration of your business’s Access control, CCTV, License plate recognition. We also have experience with other enterprise CCTV systems including Cisco VSOM and Dvtel Latitude. Hikvision is currently the fastest growing CCTV Vendor in the market. 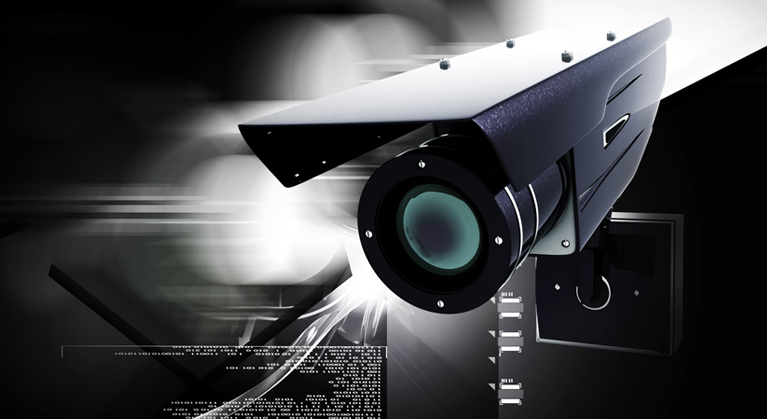 They are rapidly developing new products at cost effective prices to ensure quality CCTV is available to all business. Hikvision’s range of Dark fighter cameras are second to none providing the best low light capabilities on the market. The Darkfighter PTZ was awarded product of the year at 2016 PSI Premier Awards – we recommend the Darkfighter PTZ for any outdoor lowlight environments. Avantgarde Technologies is Hikvision authorised Partner. Axis Communications is manufactured in Sweden and has built a robust reputation within the global CCTV Industry and is well renown for quality. Axis is a key player in the CCTV industry and always developing new products and investing money back into Research and development. Over the past 10 years Axis has been part of developing some of the leading innovative products in the market. Avantgarde Technologies is Axis authorised Partner. Bosch Security are known for their high quality CCTV cameras. Avantgarde recommends there Bosch Mic PTZ camera for the harshest of environments. These cameras are the ideal choice for environment’s that are simply too harsh for other camera manufactures. We recommend Bosch cameras for Industrial Plants, Mining and Oil and Gas. In today’s environment, CCTV is a must have for many small businesses. Business owners are using CCTV for monitoring customer levels, managing staff and ensuring their business is kept safe and secure. It is critical that business’s use full HD cameras to ensure all incidents recorded are high quality allowing for clear identification event. 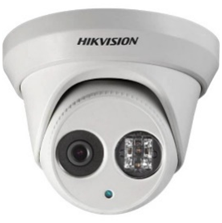 For small business Avantgarde recommends deploying a 4MP Hikvision system. This will provide excellent images in both day and night environments. When you purchase a 4MP system from Avantgarde, you know you are getting a professional solution that is also covered by a 36 month manufactures warranty. Conditions apply: Existing Internet required for remote viewing. Single story property. Out of metro charges may apply. Prices are ex GST. Cabling exceeding 25m will be charged accordingly. Avantgarde Technologies understands that CCTV is a rapidly growing industry and it is not just commercial and government premises. We provide cost effective residential CCTV solutions providing families the ability to install a reliable CCTV system at low cost. Our residential offering provides High Definition 1.3MP cameras which provide a clear image both day and night. We provide the best value for money within the Perth Metro area. Thermal cameras provide a tool for Government originations and Business to monitor permitter boundaries in complete darkness. 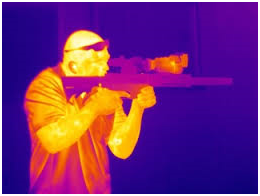 Thermal cameras work by detecting heat which means even when the environment provides obstacles that conventional cameras cannot operate efficiently including darkness, fog and smoke, thermal cameras will still show a clear thermal image of the detected heat source. Thermal Cameras are now becoming a critical business tool for monitoring infrastructure including but not limited to electric motors, substations and gaslines. The cameras can be used as temperature sensors for machinery, electrical components and much more to detect hotspots before the equipment overheats and causes catastrophic damage. 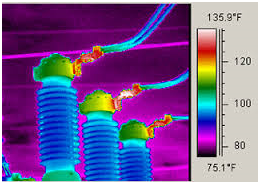 Providing detailed thermal imaging allows for business to monitor critical components and detect a fault before it occurs. This will intern save the business from major down time due to component failure that could have been prevented. Safety is a major part of today’s industry and temperatures within the industrial environment can be maintained preventing issues such as overheating that results in a fire. 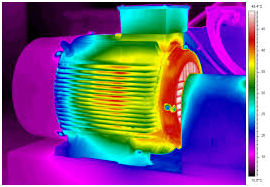 A fixed thermal camera can be positioned on a piece of plant equipment that has the potential to overheat and cause fire or failure and a temperature alarm set. If the component overheats an alarm will be sent to the Video Management software to notify the operator that the equipment has gone above the safe working temperature and the component can be shut down and a maintenance crew can be sent to investigate the problem. Please see below thermal Images used in a operational environment. 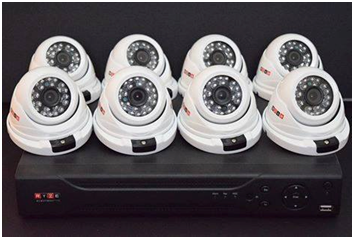 Avantgarde Technologies Uses Genetec Security Video Management software which can incorporate your thermal imaging needs into you high definition CCTV Video Management software. This means all your operational thermal cameras and general security cameras can be monitored from one easy to use platform.